Design inspiration and philanthropy will rule the day for the North Shore Cooks’ Tour 2018, taking place Wednesday, September 26. 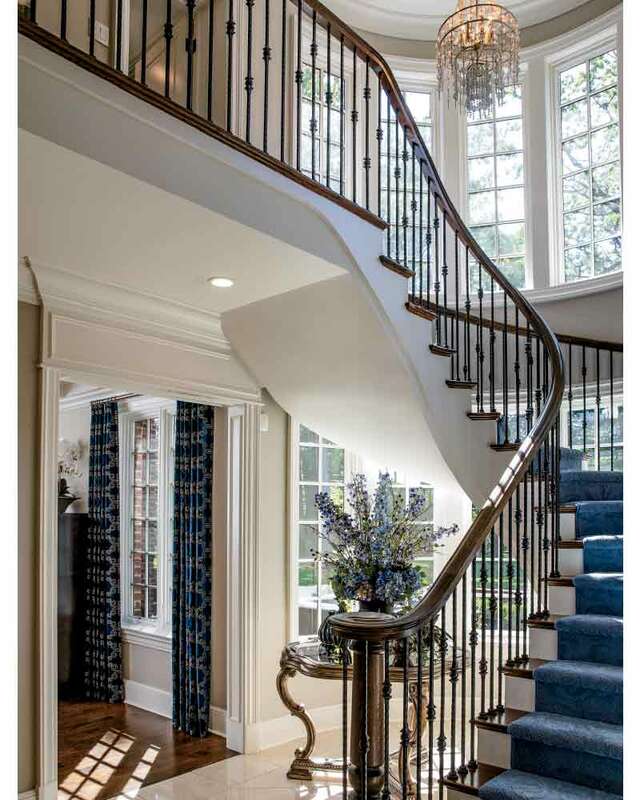 For more than 40 years, the Auxiliary of the Woman’s Board of Rush University Medical Center has been providing access into some of the most stunning homes across the North Shore, while continuing a proud tradition of supporting the important work of Rush University Medical Center. The much-anticipated event, chaired this year by Alyson Aron and Julie Rocap, includes an intimate tour of the hand-selected homes followed by a luncheon hosted in the enchanting Garden Room of the Winnetka Community House. Edible offerings to enjoy later will be available to purchase from Gourmet-To-Go and Sweets and Treats by the Cooks’ Tour board. Proceeds directly benefit the Rush Education and Career Hub (REACH) College and Career Pipeline programs, preparing neighborhood high school and college students for careers in science and healthcare. Homeowner Jeni Frient is delighted to be a part of the tour this year and showcase what has truly been a labor of love. 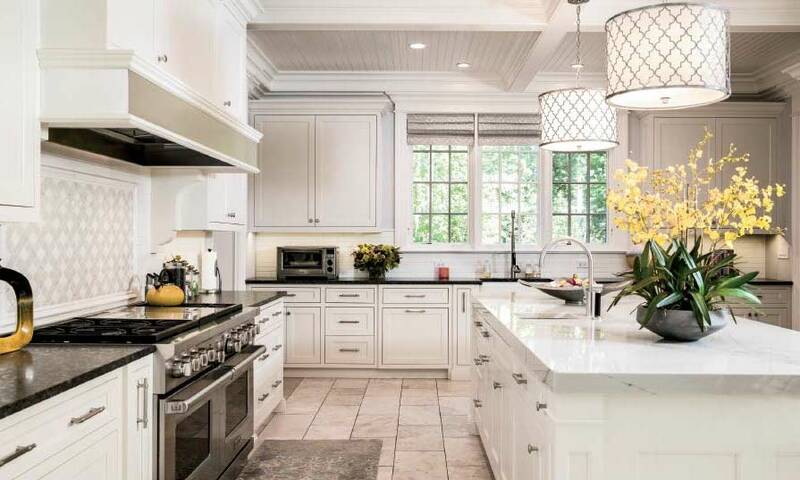 She and husband, Jeff, who married in July 2016, embarked on extensive renovations of the Winnetka property, originally built in the 1920s, perfecting it for their newly blended family: “We wanted to make it feel soft and homey—to add a little coziness. We wanted it to be very comfortable,” she shares. When the Frients started the project, many sections were down to the studs, the remnants of a renovation begun by the previous owner. 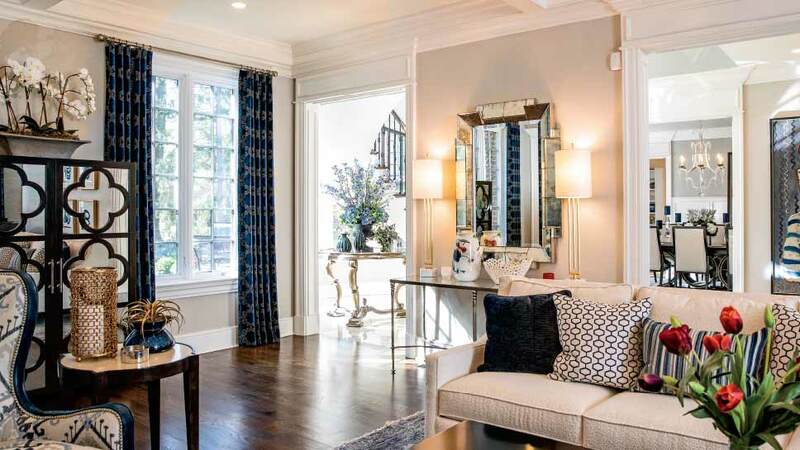 They worked with Jeff Harting of GTH Architects and Newgard Custom Homes to change the interior floor plans, finish the basement and top floors, and increase the ceiling height across the main floor—just a few among many improvements. It was Jeni who took the reins when it came to finishes and décor—in addition to her role as a mother, she is the founder of Grace and Hope Designs, an interior design firm inspired by the couple’s four daughters. Blending their styles was the focus of the project: while Jeff leans toward more traditional styling, she is known for preferring a bit more pizzazz. “I lived in the Southwest for 15 years. In Scottsdale, we liked a bit more ‘bling,’” she laughs. The couple also loves to entertain, so creating space to make hosting a breeze was key, particularly for their famous Christmas parties—this past holiday Jeni decorated nearly 20 trees for guests to enjoy, each a different color or theme to match the room that housed it. As fate would have it, the co-chairs of the Cooks’ Tour were in attendance and they instantly fell in love with the space. For more information, contact [email protected] or visit nscookstour.org.